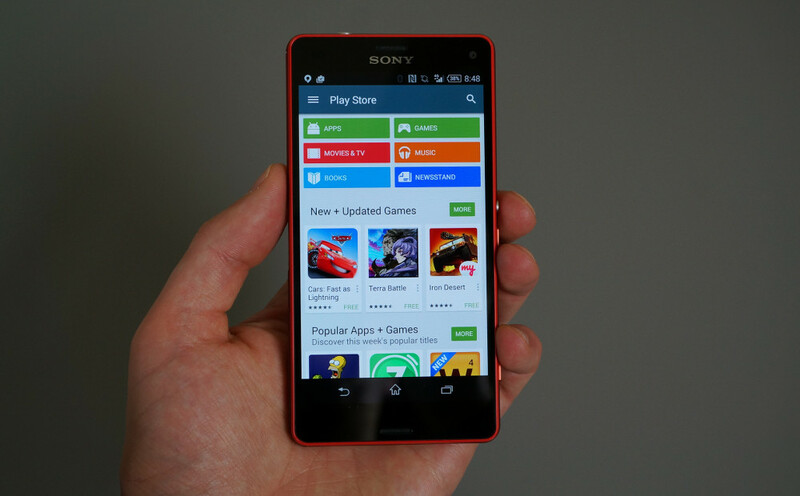 You already downloaded Google Play 5.0, right? No? Go do it right now, then return to this post. So yeah, Google Play 5.0 is here, it’s filled with Material Design, the colors for each category have all been re-done, and there are beautiful new animations that will mesmerize you. We saw a lot of this Material Design update when we got 4.9.13, but this polishes everything up and gets us ready for Android L. Even some simple things have changed for the better, like the “What’s new” sections after app updates that are now highlighted through a background color and new notifications icons after updating apps. To show all of the major differences, we took 5.0 on a quick tour, just like we did with 4.9.13. The structure of the Play store hasn’t changed, but you can’t help but notice all of the new colors and animations as you flip through it.